I made this one up out of the blue, and it turned out to be really tasty. 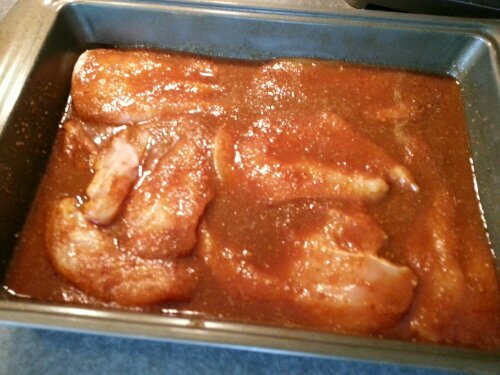 Butterfly and marinate 2 1/2 lbs. 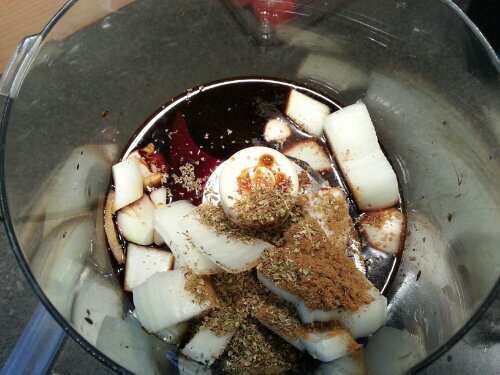 chicken breast in this mixture for about an hour. 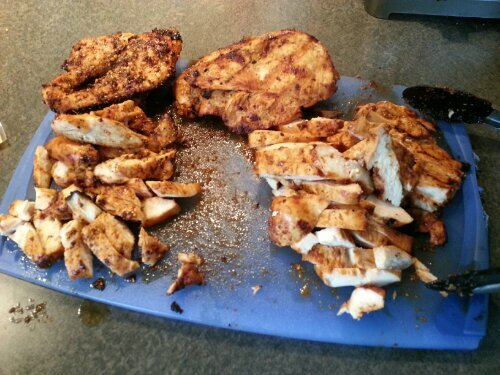 Grill the chicken on medium heat. 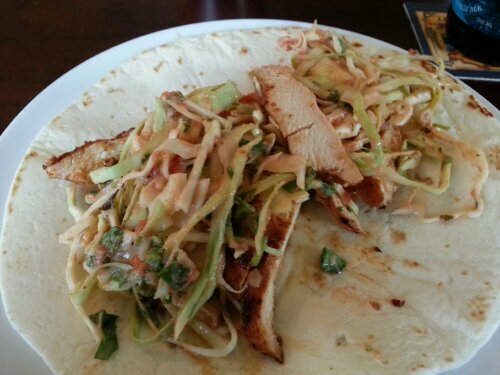 Serve sliced, on tortillas, with my salsa slaw (3 cups shredded cabbage, 1/2 cup chopped cilantro, 1 cup salsa, 2 tbsps sour cream).